Why is the Church of England supporting the privatisation of education? Leaflet distributed at Leicester Cathedral by Leicester Support Our Schools campaign. 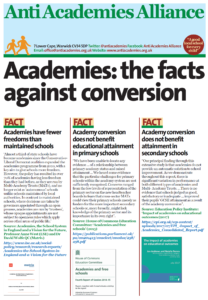 Posted in News, Resources	| Tagged Religion	| Comments Off on Why is the Church of England supporting the privatisation of education? 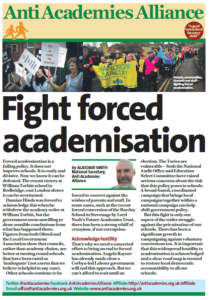 NUT and NASUWT members at OASIS Media City academy in Salford are on strike on Tuesday 22nd October against redundancies. They have been told that 12 staff are to lose their jobs. What does an American fee paying Christian school want with a Liverpool School? What is going on at Shorefields Technology College? 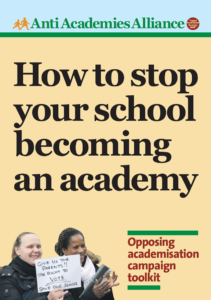 Why is the head teacher driving through an Academy proposal against the wishes of both parents and staff? Why is the head teacher linking the school with a fee-paying, religiously driven institution? Posted in News	| Tagged America, Religion	| Comments Off on What does an American fee paying Christian school want with a Liverpool School?